For anyone who’s turned a deep shade of green when seeing celebrity’s cool bedrooms with opulent walk-in closet design, there’s no need to be envious. 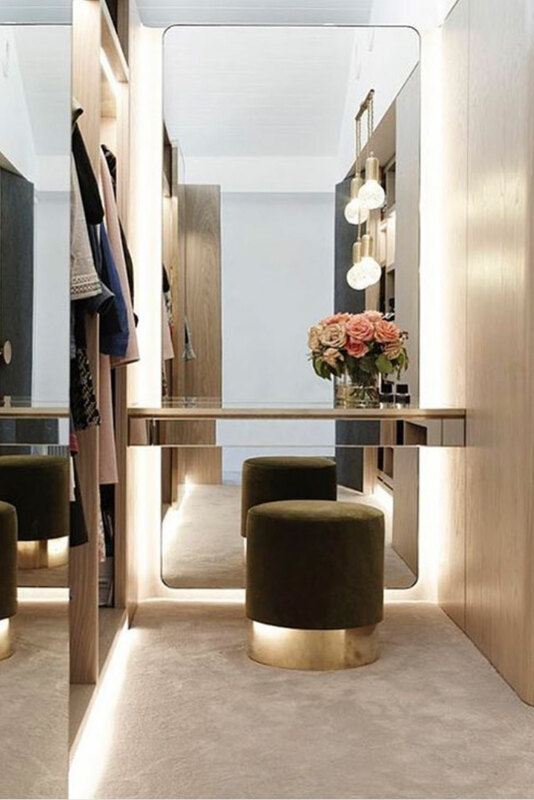 It may seem the height of extravagance for the rich and famous to use so much space for storing clothes, but we can all achieve a similar style of closet without being quite so wasteful. Here are a few handy tips for luxurious closet designs that won’t break the bank or significantly reduce space. Most people’s bedrooms only include the bare necessities such as a tallboy and bedside tables. Try going for a luxe vibe by adding a storage ottoman or buffet-style drawer unit. Adding extra storage solutions that steer away from tacky wardrobe organisers will provide space for more clothes and an extra place to put luxuries like a TV. 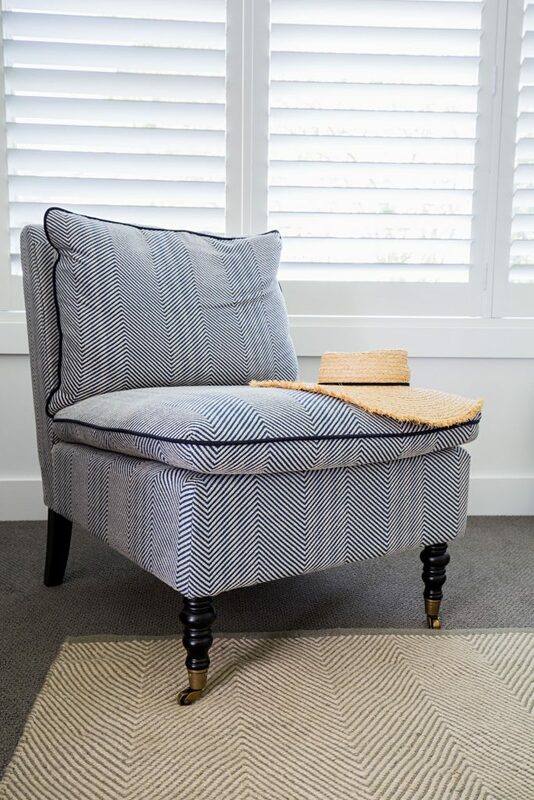 Armchairs add an air of comfort while doubling up as a nursing chair or a place to put loose clothing items. We all have one of ‘those chairs’! Update your wardrobe status by moving around shelving and opening the space. Replace old doors and even shelving- with affordable materials like laminex available, you won’t blow the budget. Tactical and organised storage allows you to access things you may have forgotten about and creates airflow in closet designs. Try putting your shoes out on display. It allows you to perfectly find a match for your outfit, and gives the illusion you’re the next Imelda Marcos! Opt for small shelving units or a shoe rack for a show-stopping look worthy of celebrity status. No space to expand? Try installing a floor length mirror to create the illusion of a larger closet. 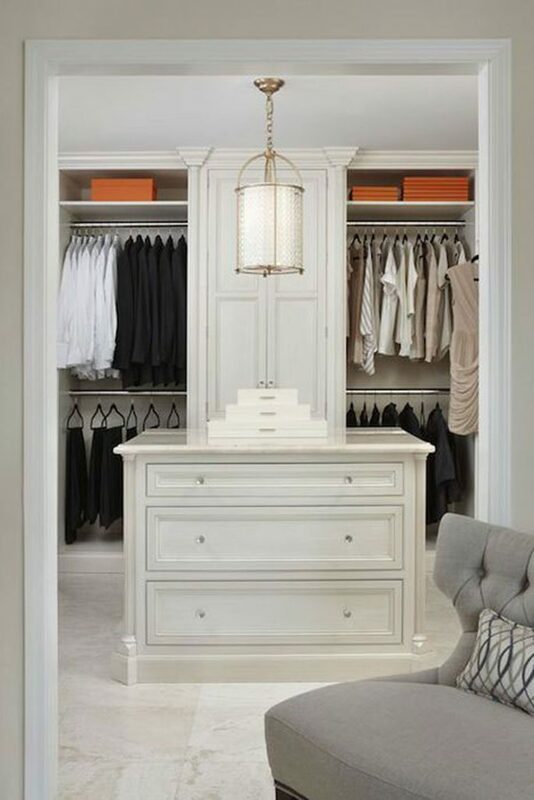 Even in a humble suburban home you can feel as if your closet design is fit for a mansion. Ensure mirrors are exposed to good lighting, as it will open up the room completely and allow you to check yourself out thoroughly! Fighting with a small space or a dark corner? Open it up with some discreet lighting for a more welcoming feel. Under-shelf lighting, chandeliers and appropriate down lighting will add a luxe atmosphere to a small space. There’s nothing worse than fumbling in the dark while you create the perfect ensemble, so shine the right light in your enclosed space to expose hidden gems and produce a mood of Hollywood luxury. Many couples share closet space, and if the area isn’t organised well, this could lead to friction in the relationship. When you’re under pressure as you prepare for a big event, not being able to find the right pair of shoes is frustrating! Assign sides to a closet or walk-in wardrobe, to not only keep things completely separate but also make the space aesthetically appealing. 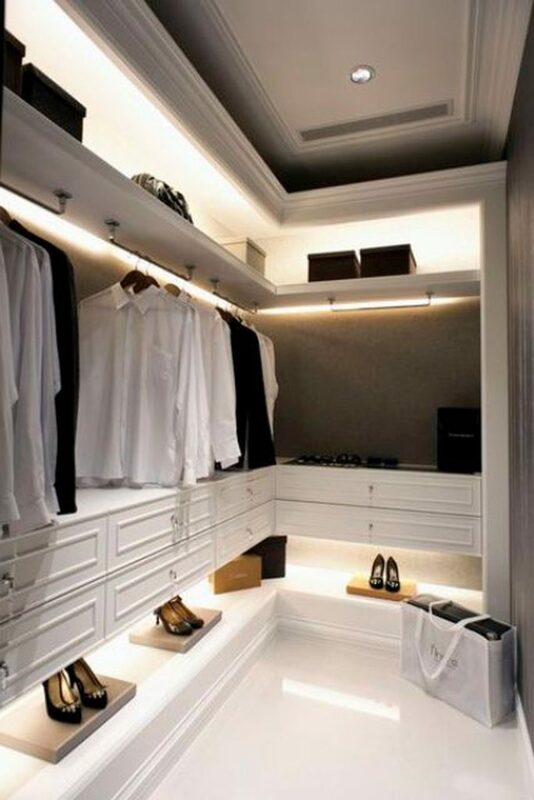 You’ll find your partner’s clothing and shoe collection may contrast yours wonderfully and this will open up the space. Keeping up with the Kardashians may not be as expensive as you think. Any wardrobe or closet design that’s big enough to walk into can benefit from these design tips. Open confined spaces and add a little indulgence to your everyday life by reorganising and beautifying your walk-in closet.